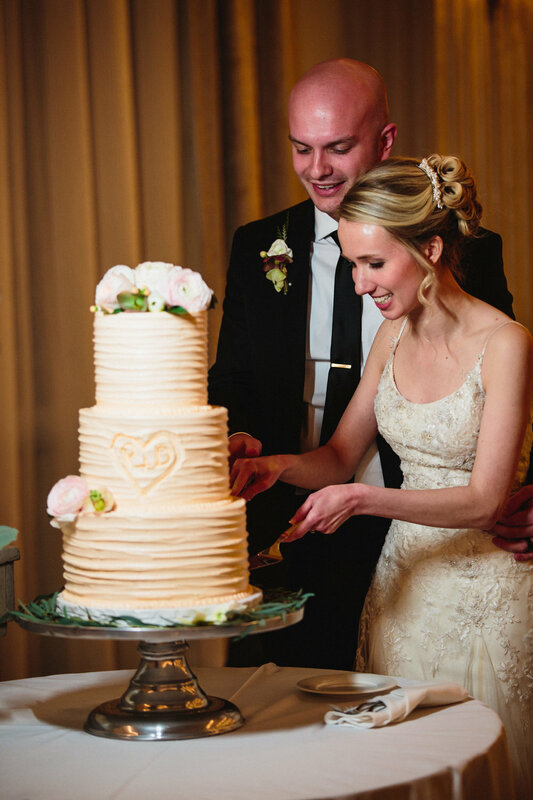 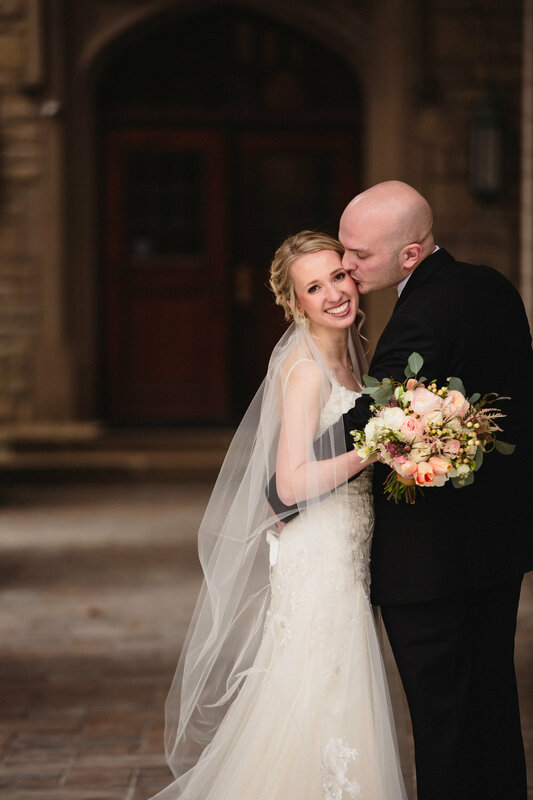 Dani and Patrick's late fall wedding was at the stunning Westin in downtown Columbus. 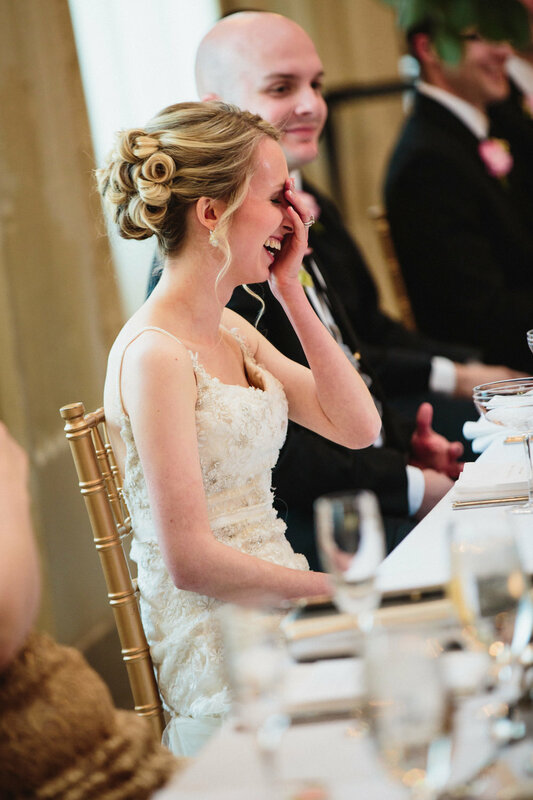 This classic wedding was full of energy and excitement. 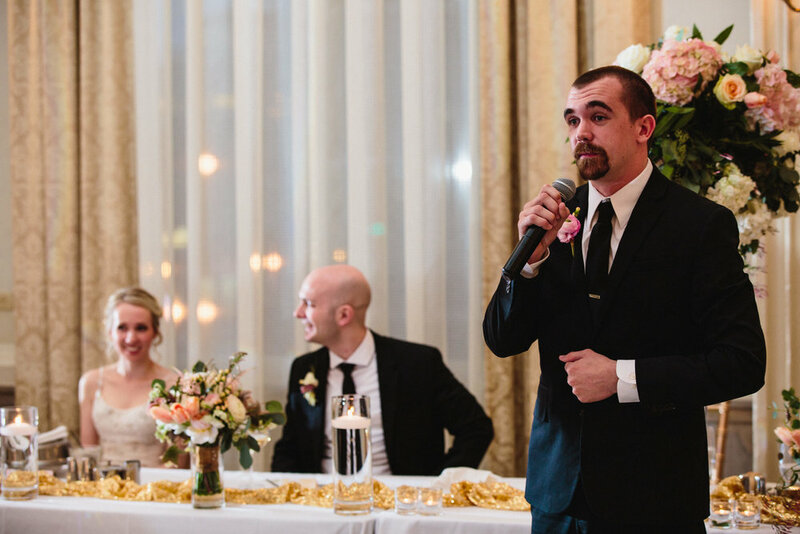 After a beautiful ceremony at Bexley United Methodist Church, with a special performance by the brides former voice professor, it was time to head back to the Westin for the reception. 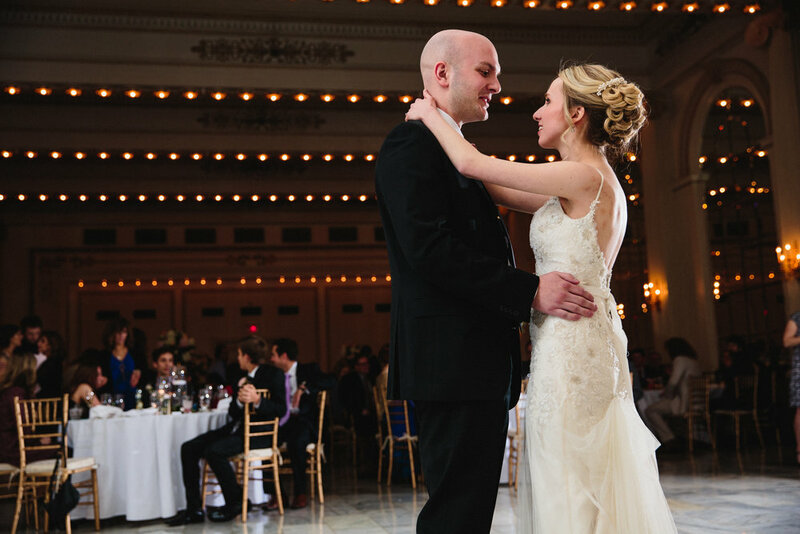 The bride and groom looked absolutely breathtaking in the grand ballroom of the Westin. 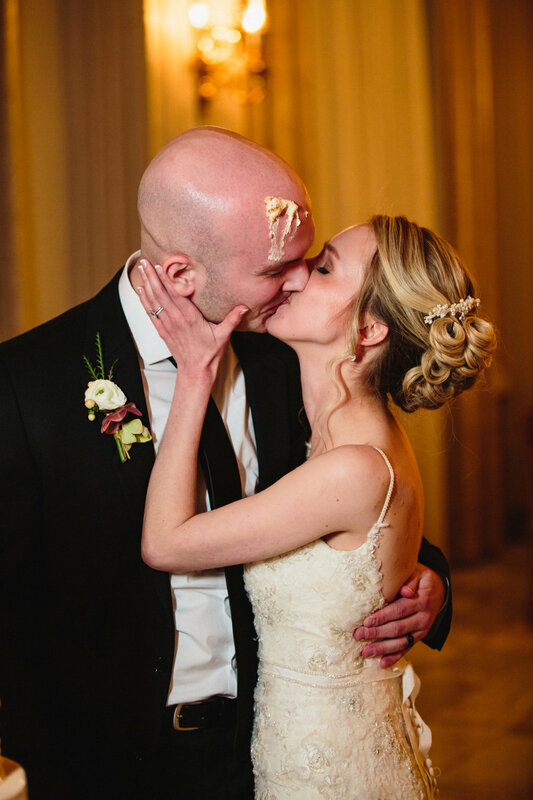 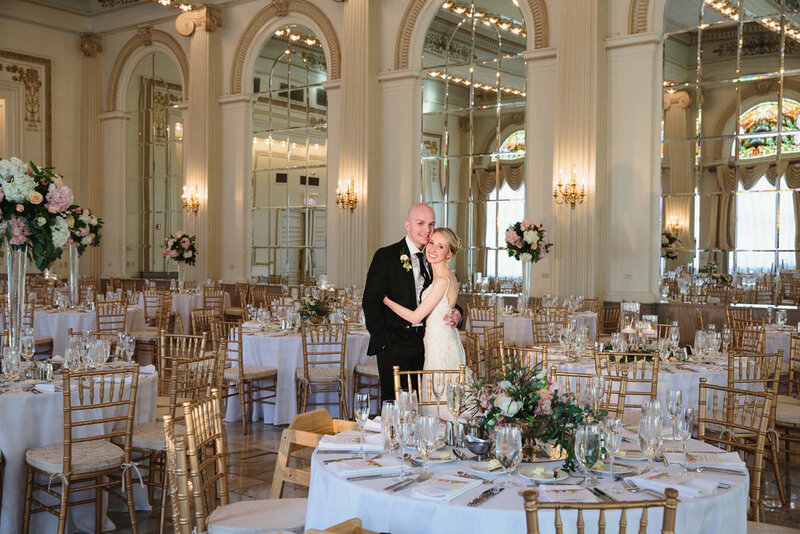 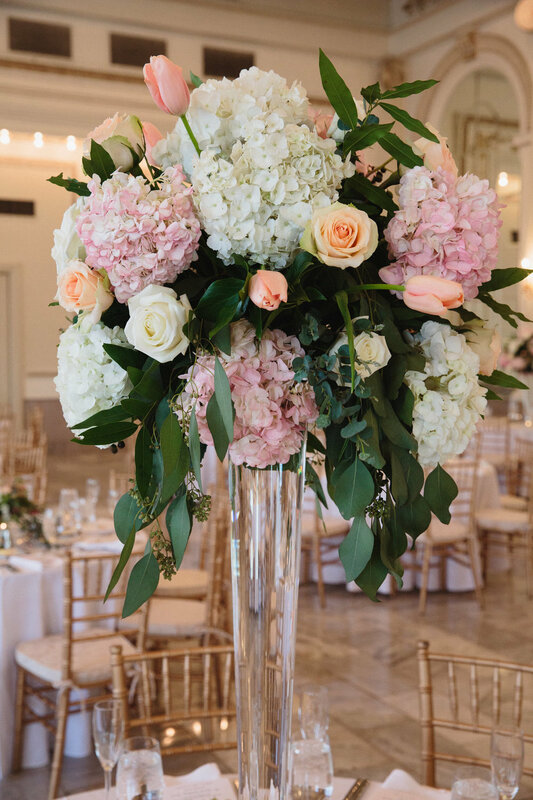 Dani's simply chic wedding gown, and Patrick's tailor fitted suit, made this couple appear as sophisticated as this historic room glittered with marble and gold. 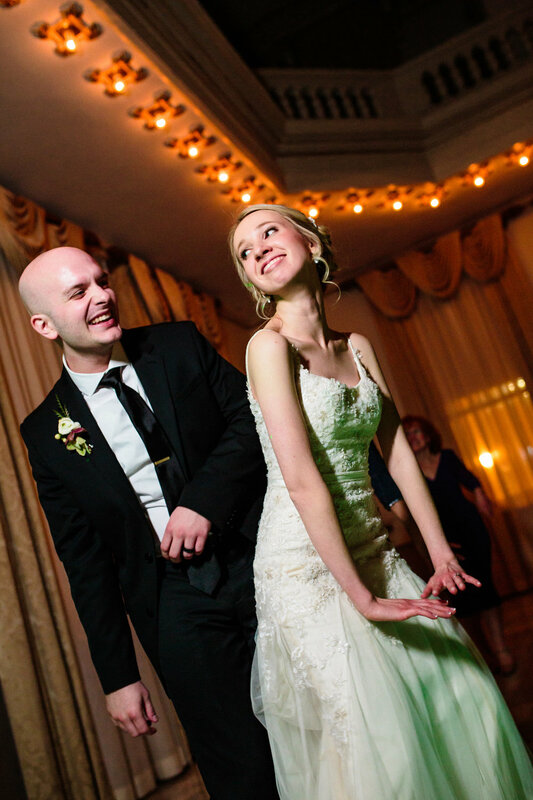 The evening was marked with a first dance to Queen's "You're My Best Friend," a hilarious cake cutting ceremony, and some pretty stellar dance moves. 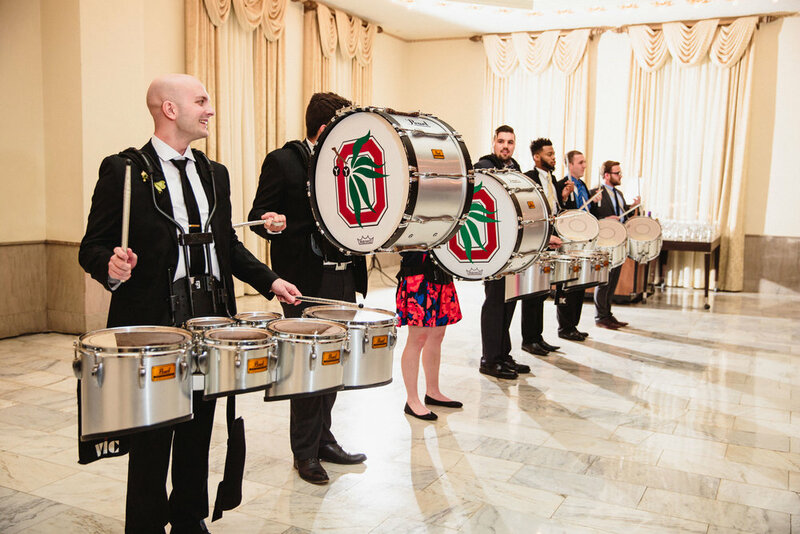 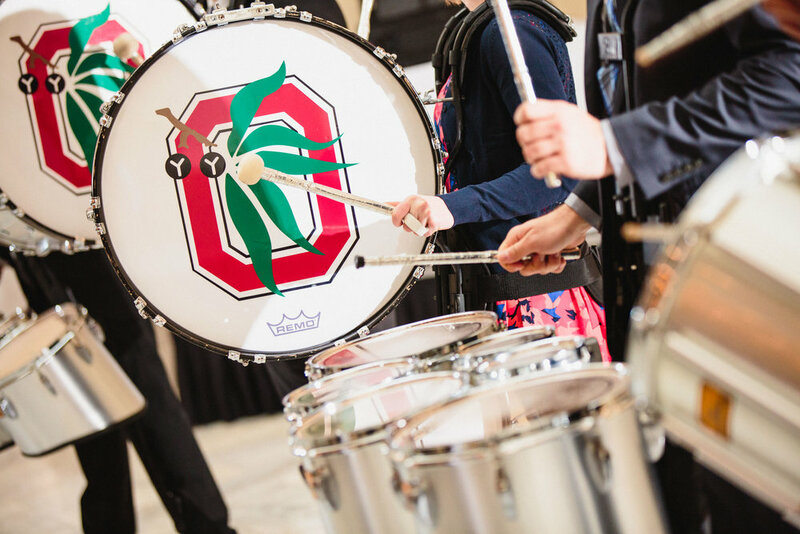 But one of the most memorable moments of this wedding was when a group of OSU band alumni came marching into the Westin. 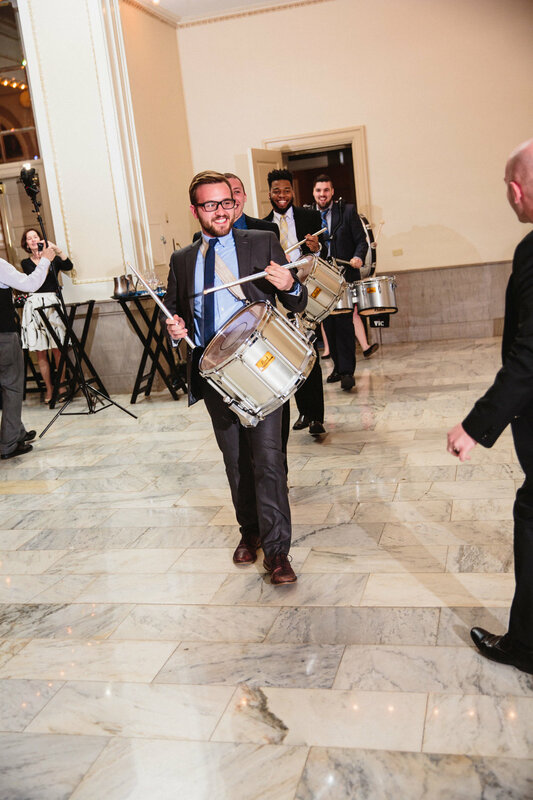 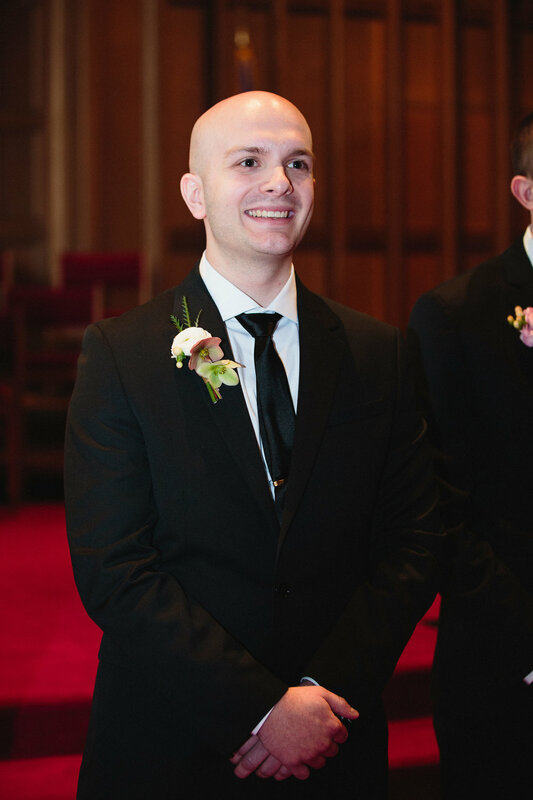 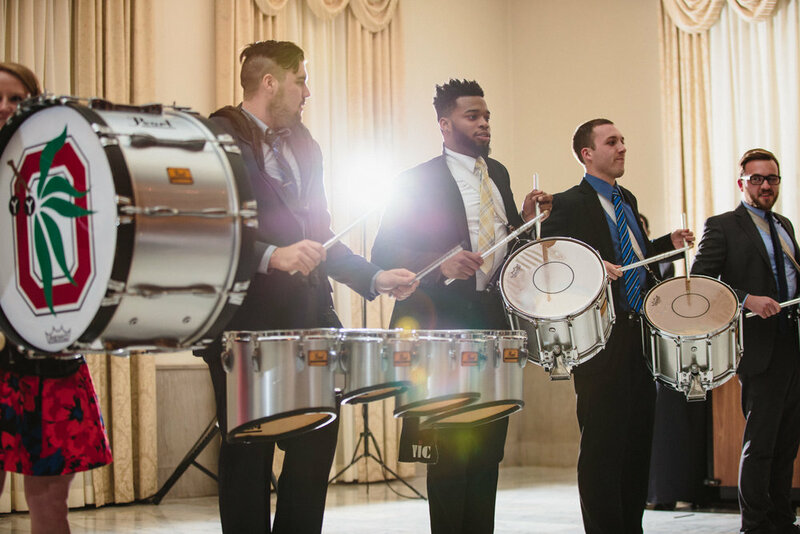 The groom, a former member, joined in the celebration to wow his guests with a spirited performance. 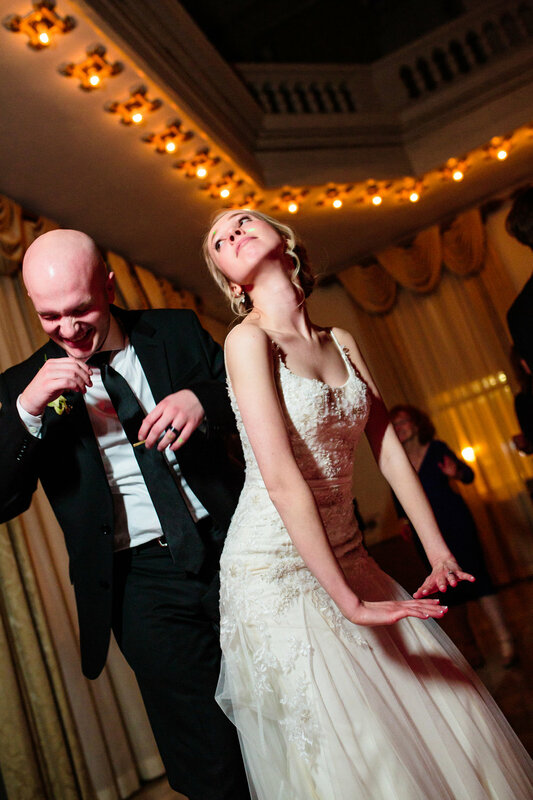 If anything is going to get a dance party started, this was it! 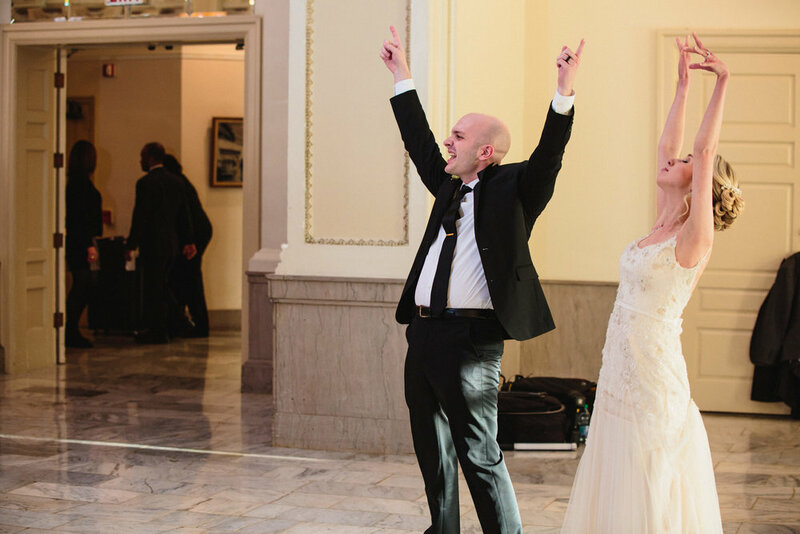 The rest of the ceremony was an absolute blast and one I am sure the couple will always remember. 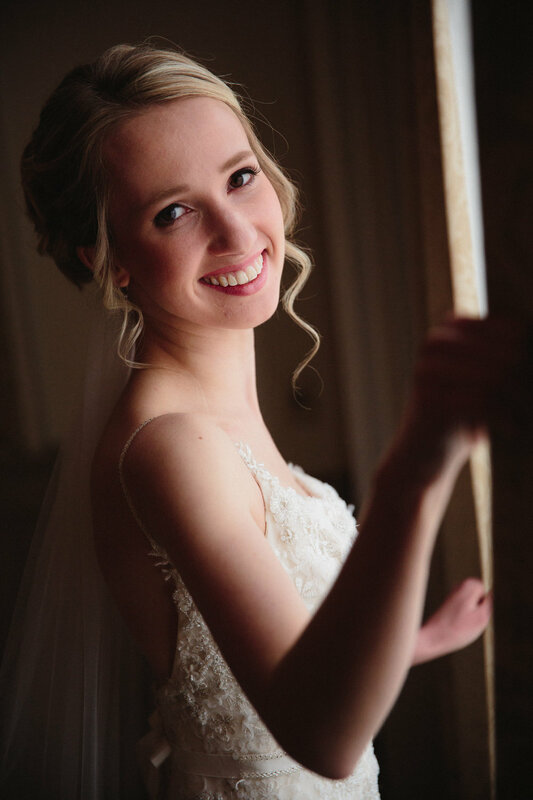 Columbus Wedding Photographers and Destination Wedding Photographers. 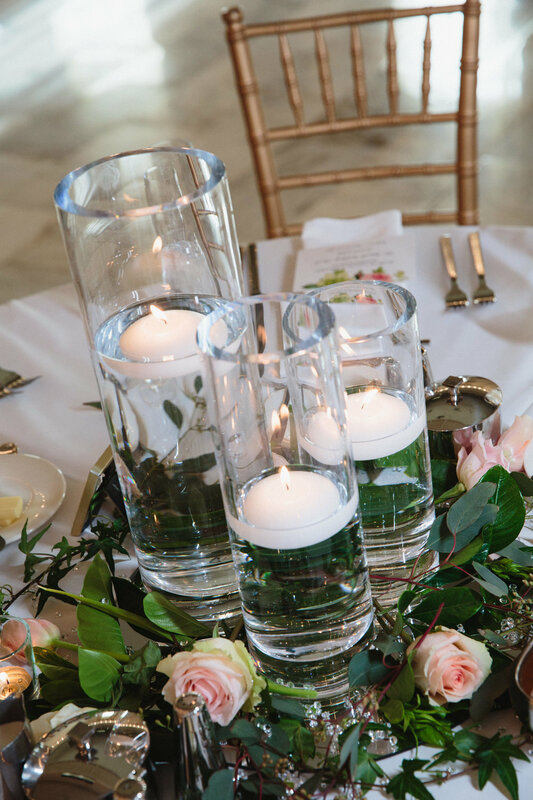 We specialize in weddings, corporate photography and portraiture.